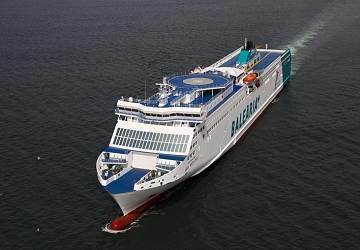 The Palma Valencia ferry route connects Mallorca with Spain and is currently operated by 2 ferry companies. 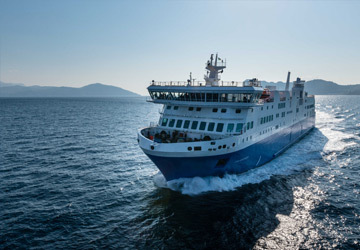 The Balearia service runs up to 11 times per week with a sailing duration of around 7 hours 30 minutes while the Trasmediterranea service runs up to 7 times per week with a duration from 8 hr. 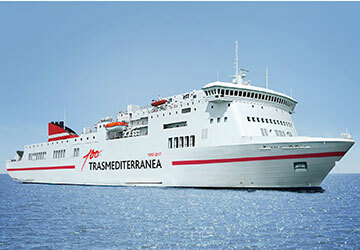 So that’s a combined 18 sailings on offer per week on the Palma Valencia route between Mallorca and Spain. Compare now and get the best fare at the time that you want to travel. Prices shown represent the average one way price paid by our customers. The most common booking on the Palma Valencia route is a car and 2 passengers. 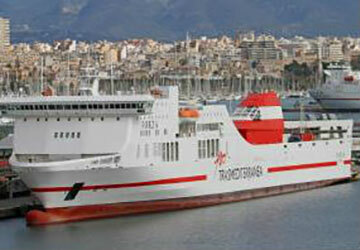 "Palma-Valencia route in the Abel Matutes "
Comfort, friendliness and punctuality. The Balearia base in Valencia was far from the city and badly-connected. 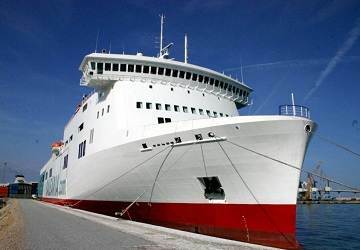 "Ferry: Palma - Valencia "
The crossing was relatively comfortable in the Neptuno armchairs. Was bad, that the harbor in Mallorca each Ferries to Valencia or Barcelona were not signposted. The departure in Valencia from the ferry took almost 1 hour since the car had to wait until all the trucks had left. "Palma ferry ride to Valencia "